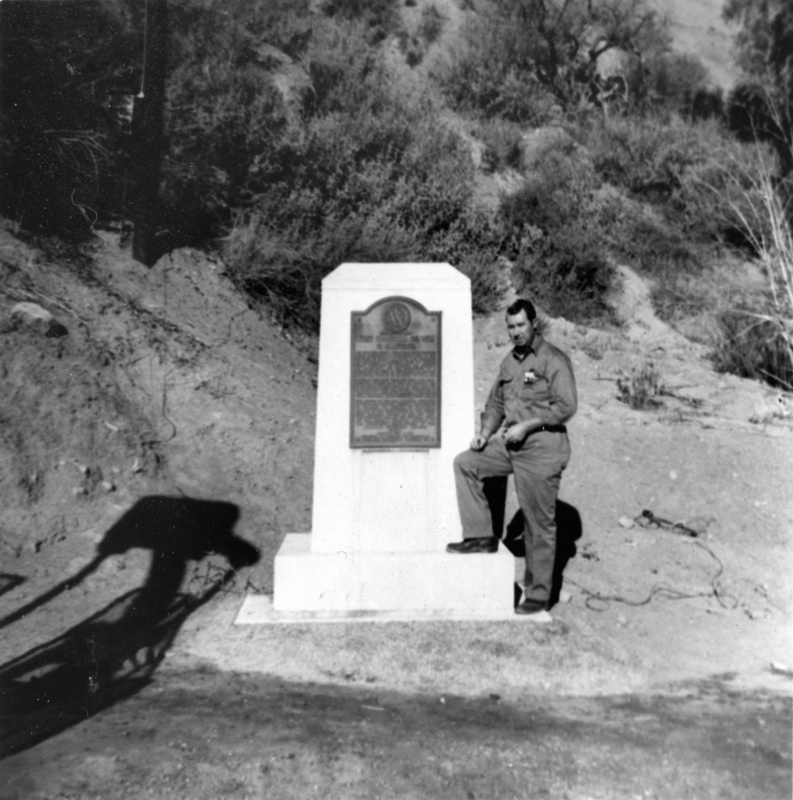 Pico oil field foreman Alton Manzer (1960-66) at the monument to the famous Pico No. 4 in the late 1950s, when he lived in Castaic. The well pumped until 1990; the shadow of the grasshopper-type rig used in the 1960s can be seen at lower left. Further reading: The Only Kid In Mentryville by Al and Pat Manzer's son, Darryl.